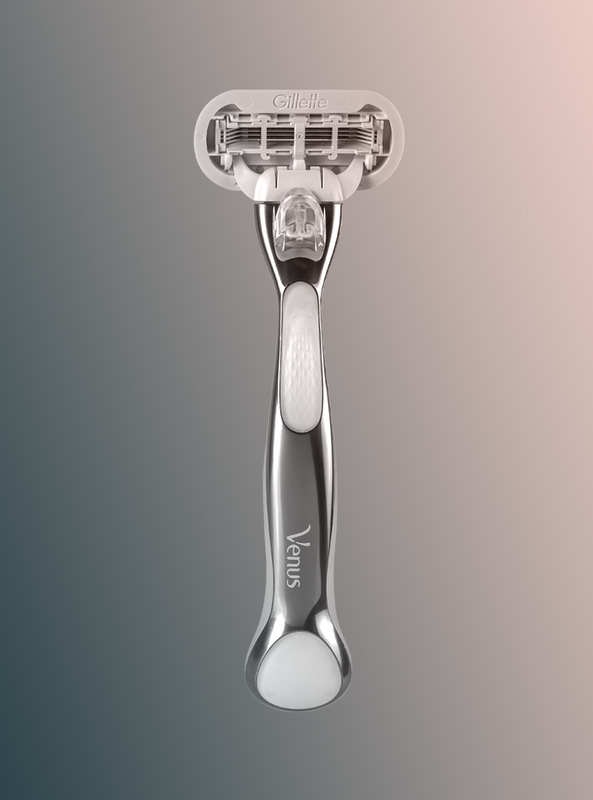 The goal was to design a signature pattern for Gillette Venus Platinum. 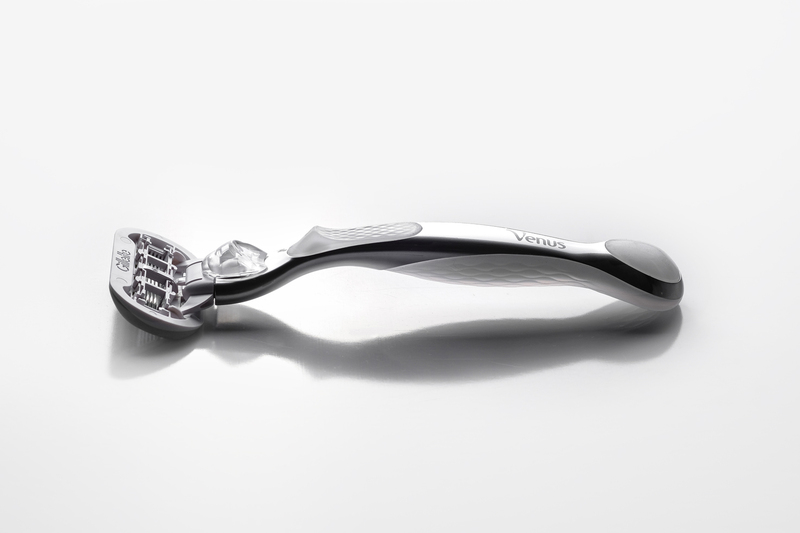 The texture emphasizes the premiumness of the metal handle and its curved form, whilst offering optimal grip and ergonomic performance. 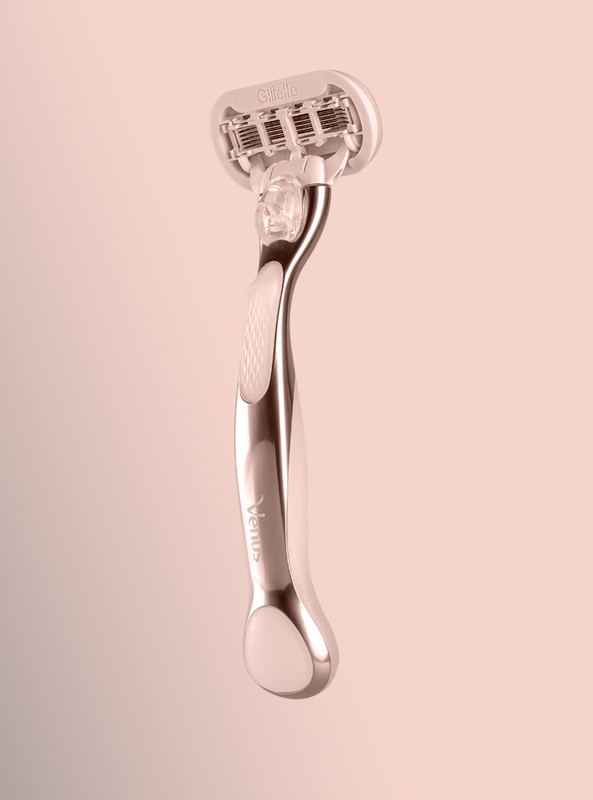 Venus Platinum was designed in close collaboration with the Gillette inhouse design team. 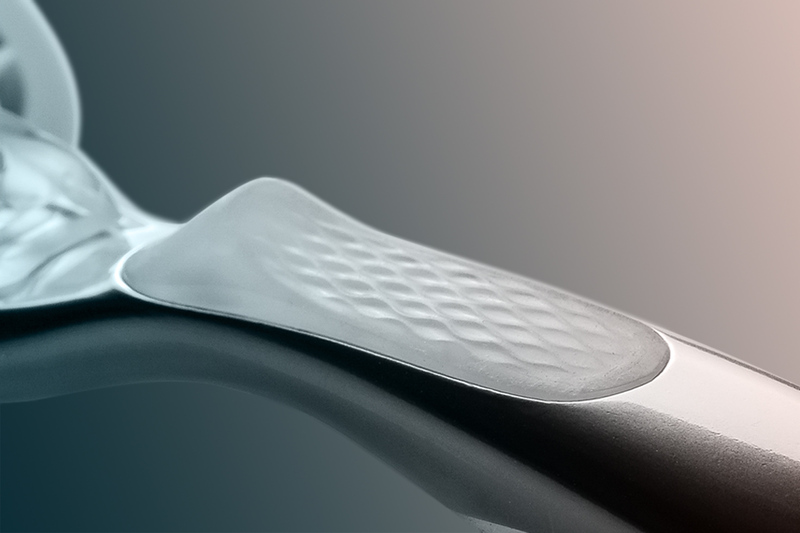 The textures are applied to dedicated areas made from premium silicone to improve handling and allow for different grip positions that are necessary for a smooth shaving experience.